Edinburgh is full of scary places and all those ghost infused places and stories. But this here is a real life person that was walking into a bar. It was broad daylight and I do not even want to start to understand what was going on or why. 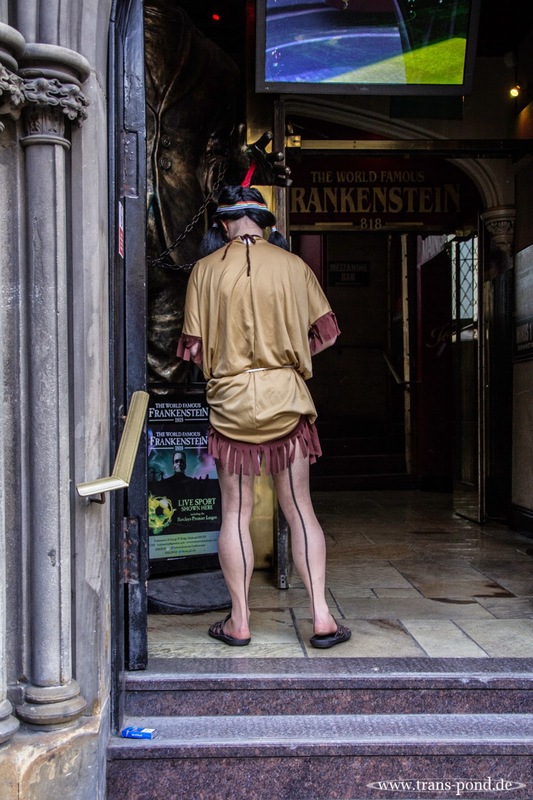 Anyways he was entering the "Frankenstein" pub and I do think that also in there, people were scared then.